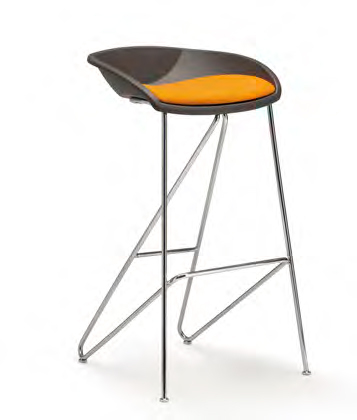 The Popcorn Barstool boasts an encircling shape. It comes in two heights, stackable in groups of 3, can be hung on a table for cleaning floors, shell comes in white or dark grey, base in white, black or chrome (epoxy available) and plastic or felt gliders. 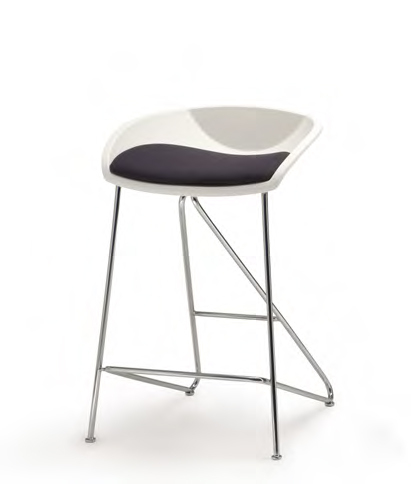 The Popcorn Barstool is perfect for libraries, dining areas, or offices.